The humble battery quite literally runs the materials handling world. If your electric forklift’s battery stops, so does your forklift and your operation. With sales of electric forklifts now dominating the materials handling market and certain to continue to do so, the battery is more important than ever. In the first of a two-part feature, Melissa Barnett looks at the current state of play. For the last 150 years, the lead-acid battery has been the battery of choice. According to the Future Market Insights 2014 report, the global lead-acid battery market was valued at slightly over US$44.5 million and is expected to increase to US$58.5 million by 2020, led by various factors including increased industrialisation. The materials handling industry accounts for 9% of current marketshare and a battery can constitute up to 30% of the cost of an electric forklift. 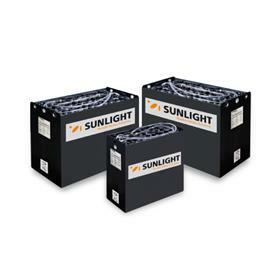 The advantages of lead-acid batteries include their low manufacturing costs, reliability, established supply chain, low costs per watt hour and good performance in extreme temperatures. Marcel Vanden Top, general manager at US parts dealer Intella Liftparts, says the continued use of lead-acid batteries generally comes down to cost and return on investment. "If the end-user can’t see a return on added investment (on alternative energy sources), they’ll stick with the old technology," he says. Flooded Lead Acid (FLA)– Uses lead plates bathed in a liquid electrolyte of sulphuric acid. These batteries are low cost and abuse-tolerant, but can only be used in an upright position to prevent spillage as they are unsealed. They are vented (VLA) rather than valve-regulated.and are tolerant of the overcharge required periodically to keep batteries in optimal working order. Absorbed Glass Mat (AGM) – In this type of battery, liquid electrolyte is absorbed in a fibreglass mat between the plates. It is a sealed and maintenance-free or Valve Regulated Lead Acid (VRLA) battery. The battery pack can be installed on its side with no spillage. It has vibration resistance and is best for indoor use due to lower gas and acid output during charging. They are good for cold temperature operations. They have a lower rate of discharge but require precise overcharge values and careful management of water loss. Gel– This battery involves a silica agent being added to the electrolyte, immobilising it in a paste. The battery performs in a similar way to an AGM battery, although the purchase cost is slightly higher. Adding to the bewildering range of flooded or sealed options in batteries is a choice of a tubular plate or a flat plate motive battery. Although tubular plate technology is not new, there continues to be divided opinion on the superior efficiency of either type. 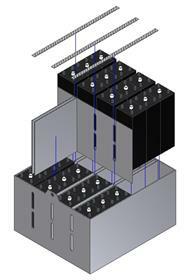 Tubular batteries are constructed differently to flat batteries, with an internal spine formation holding the battery’s active material, while flat plate batteries have a grid construction. Tubular plate batteries are more popular in Europe, while flat plate batteries are more popular in the US. Since European electric forklifts have taken significant marketshare in the US, there has been a subsequent increase in the use of tubular plate technology. A tubular battery’s compact size is especially suited to smaller electric forklifts. Labros Bisalas, sales director of motive power batteries for Greek company Systems Sunlight, believes that from the perspective of total cost of ownership, tubular plate batteries are very competitive, and he is keen to convince US end-users of the benefits. "I think the US market will gradually turn to tubular plate batteries when they can see they can supply more power and faster in an equivalent size. Their compact structure, increased mass and surface area improve battery efficiency and longevity," he explains. He adds that tubular batteries' higher depth of discharge makes them more suitable for motive power. While basic design may not have changed significantly in lead-acid batteries, what has changed over recent years is the need to be more efficient and environmentally sustainable. Battery manufacturers have addressed these issues in a number of ways, including using wireless management systems to collect real-time data on batteries, more efficient and faster charging technology and implementation of battery recycling. Steve Spaar, marketing director, EnerSys (Americas), says that there is an increased focus on properly managing forklift battery fleets through data monitoring and tracking tools. "Through fully automated battery pooling, selection and Internet-based reporting functions, battery tracking tools can help reduce capital and maintenance costs by increasing battery run time and life expectancy," he explains. Blake Dickinson, director of application for AeroVironment PosiCharge, adds that wireless battery management systems can improve battery life and performance through proactive and actionable alerts, accessing the complete history of the battery through web portals and organisation of remote charging configuration. Brian Faust, general manager of Douglas Battery, says that better data collection of battery and charger performance has helped users run leaner operations and with a better mix of product in their facility. Douglas’ DataTrac battery monitoring system collects data about the battery’s usage, charge return, water level, temperature and equalisation. "Data collection is the key to showing a customer where they are using equipment heavier than in other parts of their facility. We can work with the dealers to spec forklifts with both larger and smaller compartments and help save the end-user money," he explains. With proper battery management systems in place, operators can optimise battery life by up to six years, according to some reports. 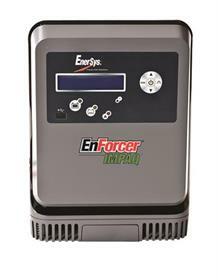 Extending lead-acid battery life is the keystone to efficient equipment operating systems. Powerbatt Battery Life Extender by Battery Gurus has been specifically developed for use by the Czech army. One of the main reasons why forklift batteries fail prematurely is sulphonation. This is a natural process where white sulfuric acid crystals attach to the lead plates and diminish their capacity to accept a charge and hold it. Dušan Uhrik, spokesman for Powerbatt, claims the product is unique and works by removing crystallised sulphate build-up along the battery plates, restoring the original structure and quality of the electrodes and increasing the capacity of the active substance performance and the performance and reliability of a battery by up to 80-100% when used every six to 12 months. 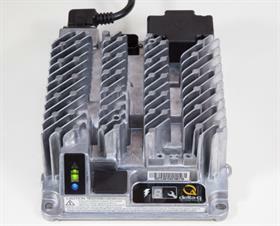 Environmental standards for industrial battery chargers now in place in Europe and some US states including California and Oregon have serious repercussions for battery charger OEMs and end-users. In California, the standards require chargers to be more efficient and waste less energy in all charger operating modes – during the charging cycle as well as during stand-by and off modes. Some believe this could mean the end of Silicon Controlled Rectifier (SCR) and ferro-resonate chargers. The new standards will require designers of battery chargers to focus on the total amount of energy consumed in the process of converting AC electricity from the utility grid into DC electricity stored in the battery so as to develop techniques to minimise energy waste throughout the charge cycle. Spaar believes the standards will ultimately improve the bottom line for battery users and manufacturers of fast chargers. EnerSys has already received approval from the California Energy Commission (CEC) for its High Frequency (HF) EnForcer chargers. "Opportunity charging and fast charging of batteries has grown significantly, helping customers eliminate battery changing without the high costs and risks associated with other technologies," explains Spaar. Opportunity (fast) charging – charging a forklift battery when an opportunity arises at designated charging stations located at convenient spots around the working area - is becoming mainstream battery management technology. Proponents of opportunity charging believe that it results in lower operational costs due to reduced downtime, increased productivity, a ‘greener’ solution due to reduced energy consumption and enhanced safety benefits – no lifting heavy batteries in and out of forklifts and no fumes or gasses during charging. All battery charging benefits from correct algorithms being implemented; each battery has its own unique charging characteristics which affect charging rates, maximum voltage limits, temperature compensation and managing battery heat. This is where battery management systems really come into their own – having the ability to constantly update correct algorithms for each battery and its specific chemistry. Generic charging profiles can be used but at the cost of battery life and efficiency. Most chargers are still immobile, but there has been a trend in recent years in the development of mobile, onboard chargers, particularly for smaller materials handling equipment like walkie-stackers, pallet jacks and AGVs. Onboard chargers conveniently plug into any available power outlet. Conway Hui, sales application manager for Delta-Q, says the company’s IC650 battery charger allows pallet-stackers or pallet jacks to utilise any single phase electrical grid in the world with an AC operating range of 85-270 VAC. The benefits of an onboard charger with communication abilities, says Hui, are convenience, the ability to deliver an optimised charge profile because the algorithm is already purpose-built for that particular battery model, and a better tie into a forklift’s existing diagnostics system. The Battery Council International (BCI) claims that 98% of all battery lead is recycled and says that the lead-acid battery gains its environmental edge from its closed-loop lifecycle. It also claims that the typical new lead-acid battery contains 60 to 80% recycled lead and plastic. The recycling process begins when the spent battery is collected and then sent to a recycling operation where the lead, plastic and sulphuric acid components are reclaimed individually. Lead is melted, poured into ingots and returned to a battery manufacturer. The plastic is pelletised and returned for battery making and the sulphuric acid is turned back into water by a chemical process and returned to the environment, made into sulphate powder for detergents, textiles or glass making, or returned to a battery manufacturer for reuse. Whatever the long-term outlook for traditional lead-acid batteries and chargers might be, they appear to be holding on to current market share by savvy marketing and smart adaption to regulations and industry requirements. Perhaps you can teach an old dog new tricks. •	In part two next week, we look at the alternatives challenging the current technologies in forklift energy sources.